He's right of course. 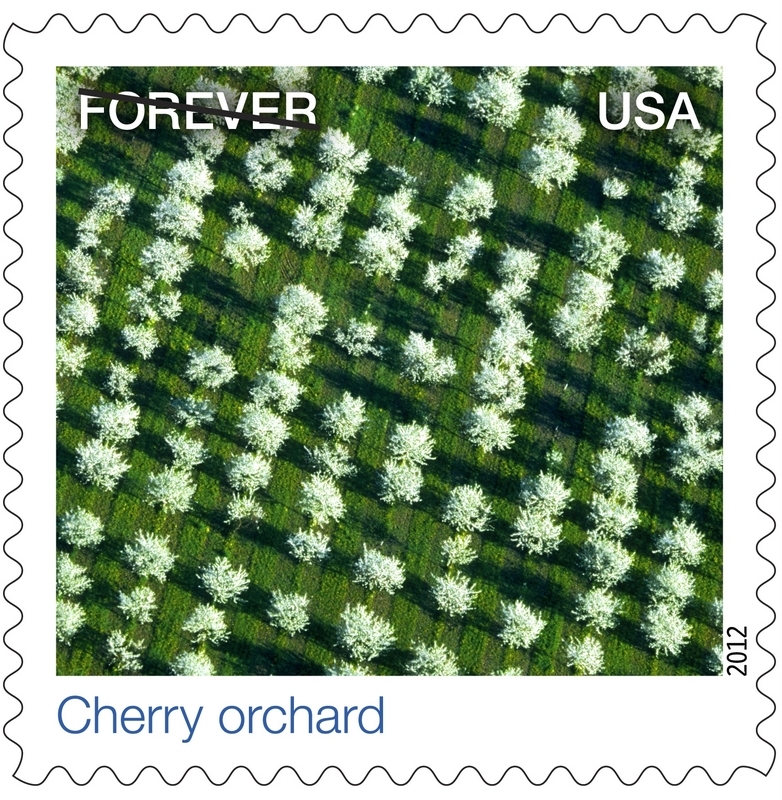 Corbett makes this observation by way of introducing a new series of postage stamps that show us the world as viewed from airplanes and satellites. The artists who put together this beautiful collection of stamps have taken familiar subjects and given us a new perspective with a top down angle. 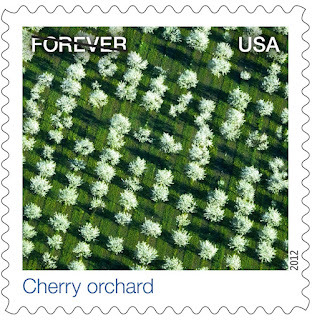 What I find notable about these new stamps from the post office is how they take us full circle. 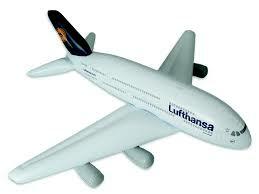 It was the U.S. postal service that helped to turn aviation into a viable form of transportation. 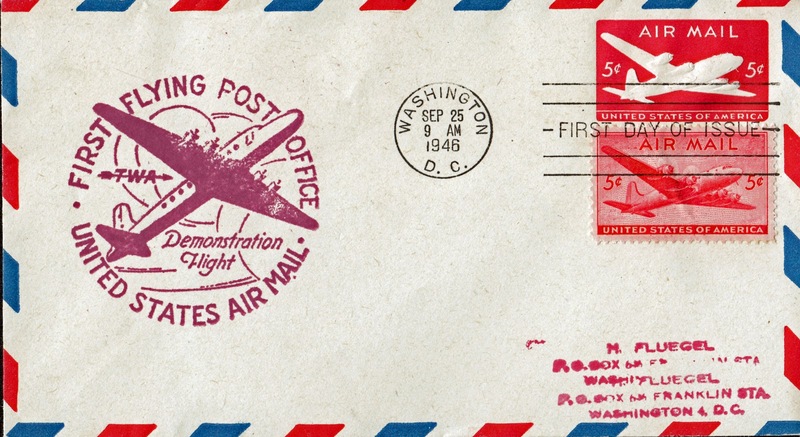 The first airline flights were stuffed with bags of mail, and oh yeah, people. In the November issue of Airways magazine, Ed Davies has a wonderful story about the hullabaloo that accompanied the new postage stamps issued in 1946 and featuring the Douglas DC-4. 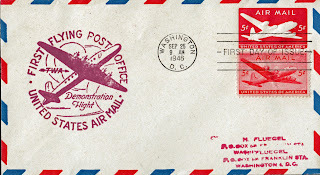 In press extravaganza not unlike what we'd see today for the unveiling of a new model iPad, the first letters bearing this stamp were canceled aboard a special flying post office. A TWA Douglas C-54 Skymaster converted for the event left Washington National Airport on October 1, 1946 carrying a ton of mail across the country in a cabin modified to look like a railway mail car. The flight made a few stops, but probably none as notable as the one in Dayton where Orville Wright "was presented with a special commemorative stamp album," Davies writes. So don't bemoan the lost glory days of aviation without feeling just a little sympathy for the post office. Can you imagine a new stamp getting that kind of treatment today? But that's raining on the USPS parade and I don't want to do that when they've just presented us a whole series of tiny windows through which we can see the beauty in the ordinary for just 45 cents a peek. When I fly, I always keep my face pressed up against the window and though they'll never be postage stamps, here photos of places I've seen from above. Shadow of my own Lufthansa flight with"pilot's halo" above Frankfurt.